MetaTrader vs cTrader - Which is Best Forex Trading Platform in 2019 ? MetaTrader vs cTrader – Which is Best Forex Trading Platform in 2019 ? In the recent times, the world has witnessed great advancements and expansion of Forex trading platforms. It also means that the worlds the biggest names, MetaTrader and cTrader are being discussed and people want to know which of them are best forex trading platforms. 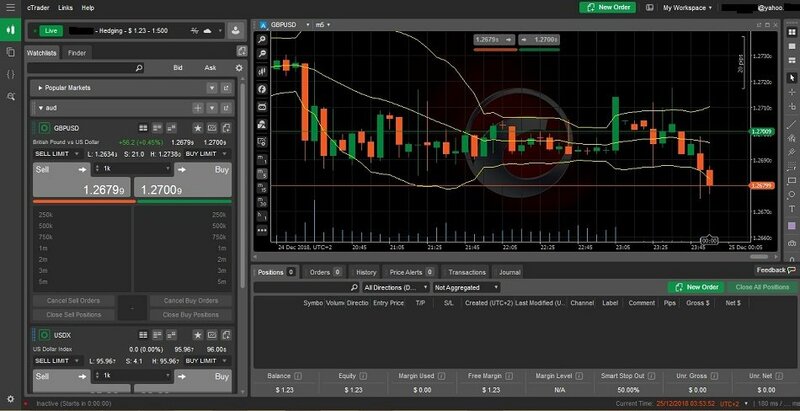 In all respects, there are key considerations that accompany well-performing forex trading platforms.Some of these include just how easy, and user user-friendly the platforms are for trade executions;and whetehr users of all backgrounds are supported to carry out their trade in an entirely trouble-free environment. The main guiding factors that help you to not only comprehend, but wisely choose a trading platform include its simplicity and the fact that it allows you to trade on multiple platforms such as the web, desktops and mobile devices. You analyze issues of compatibility of the trading platforms to key operating systems such as Windows, Mac and Linux. Inevitably, other structures and innovations that are quite useful and which come into microscopic gaze include orders and chart types, plugins, and tools, indicators and automated trading. For you to make the ultimate choice on the best between MetaTrader and cTrader here are some elements that characterize them. The date of release for this popular trading platform is 2005. Powered by MetaQuotes software, MetaTrader consists of the server and client terminal and is programmed in C++. In this case, the server is usually managed by the broker, while the terminal is offered to customers, who have the advantage of monitoring quotes, and orders, as they stream n in real-time. The following features characterize the true nature of MetaTrader. It is supported by operating systems such as Windows, Mac and Linux and Apple iOS. The trading platform can also be run on multiple platforms such as the web, desktop, as well as mobile and automated trading. It also comes with multi-order placement features comprising of instant execution and market, other features of this nature include limit, stop as well as trailing stop orders. The platform is recommendable for Virtual Private Server (VPS). Traders access real market news and have a quick access to both historical and online currency pair data whenever you require it. 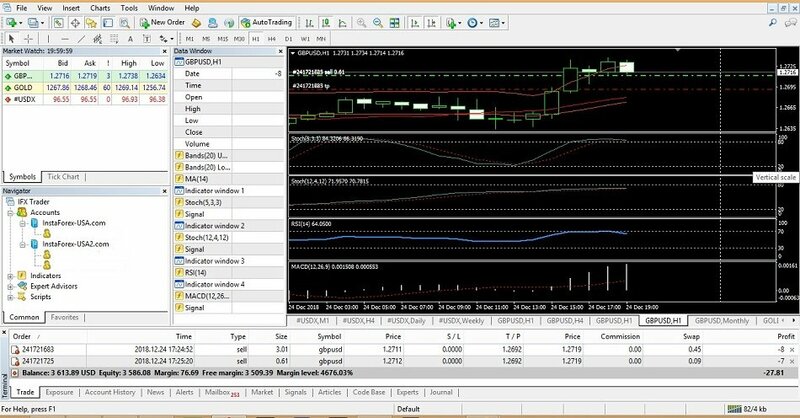 MetaTrader is also known for its customizable charts, indicators, and background. Traders can chose to open up to 100 chart lines at any given time, which can help them to monitor both current and long-term trading trends. As a multilingual trading platform, many users from different parts of the world find themselves in a familiar environment with transactions happening in their own language. The platform offers different timeframes for users, which allows traders from all over the world to work at their own convenient times. It offers different kinds of graphing and display options for users. When it comes to the need for technical analysis, there’s a huge number of tools and indicators that can be put to perfect use. What is more, the MQL4 programming language can easily be used to either create or import custom systems or alarms. You can also create and import indicators, codes, and scripts such as Expert Advisors (EAs). CTrader was established in 2010 and is powered by Spotware. Being a premium Forex and CFD trading platform, it has not only grown through the ranks but has also revolutionized the way everything is done. In the past year, this platform was awarded as the best forex trading platform during the London SUMMIT 2018. In its radical nature, cTrader’s innovative and state of the art tools ensure easy and faster execution of trades. For instance, some of the tools are known to offer a synchronized way by which multiple orders can be processed and filled in one go, which effectively reduces the queue. The trading platform is supported on multiple platforms such as the desktop, mobile, Android, web and iOS mobile versions. These multiple platforms allow a wide range of traders to do their thing across all types of operating systems and mobile devices. The platforms also have versatile and user-friendly interfaces which are useful for an effective trade cycle. It also comes with unique premium customizable charts which are equipped with 70- pre-installed indicators as well as 54 elaborated and distinct timeframes. The platform is famed for its advanced software known as cTrader Automate (cAlgo). It is useful because traders can easily utilize it to program and customize trading algorithms and indicators that make the whole trading experience a lot easier. The customizable tiki and point charting package of cTrader allows traders to indulge in double and reversing one-click type of trading, Traders can also undertake a quick set-up of pending orders on the chart in one click. You can also adjust resting orders by either dragging them up or down the charts. The quest to rate the best forex trading platforms between MetaTrader and CTrader means that just one of them emerges the favorite. The truth is that although CTrader is a recent newcomer, its astounding innovations allow the traders to enjoy a whole multi-faceted and user-friendly kind of trade executions. But the fact that it is relatively new implies that not many people are aware of the goodies it has to offer. There deifinately is a low demand of it from the traders, so a lot of brokers are not offering it as we speak. On the other hand, MetaTrader has played the field for more than a decade, it boasts of experience and a huge amount of clientele. It also remains quite popular among many traders. All the same, it ’s business and how vibrant it is that dictates. If you are used to MetaTrader and it serves the ultimate purpose, it would be wise to stick to it. However, if you want to enjoy a newer environment that offers equal, if not richer experiences, then cTrader is a Forex trading platform gives you just that.